Chapter 111 - Aid to the Blind. Article 1 - General Duties of Department of Health and Human Services. §§ 111-1 through 111-3: Repealed by Session Laws 1973, c. 476, s. 143. § 111-4. Register of State's blind. § 111-5: Repealed by Session Laws 2000-121, s. 2. § 111-6. Training schools and workshops; training outside State; sale of products; direct relief; matching of federal funds. § 111-6.1. Rehabilitation center for the blind and visually impaired. § 111-8. Investigations; eye examination and treatment. § 111-8.1: Repealed by Session Laws 2000-121, s. 7. §§ 111-9 through 111-10. Repealed by Session Laws 1973, c. 476, s. 143. § 111-11.1. Jurisdiction of certain Divisions within the Department of Health and Human Services. § 111-12. Repealed by Session Laws 1973, c. 476, s. 143. § 111-12.1. Acceptance of private contributions for particular facilities authorized. § 111-12.2. Contributions treated as State funds to match federal funds. § 111-12.3. Rules and regulations as to receiving and expending contributions. § 111-12.4. Repealed by Session Laws 1973, c. 476, s. 143. § 111-12.5. Reserve and operating capital fund. § 111-12.6. Disposition of funds deposited with or transferred to State Treasurer. Article 2 - Aid to the Blind. § 111-13. Administration of assistance; objective standards for personnel; rules and regulations. § 111-14. Application for benefits under Article; investigation and award by county commissioners. § 111-15. Eligibility for relief. § 111-16. Application for aid; notice of award; review. § 111-17. Amount and payment of assistance; source of funds. § 111-18. Payment of awards. § 111-18.1. Award and assistance checks payable to decedents. § 111-19. Intercounty transfer of recipients. § 111-20. Awards subject to reopening upon change in condition. § 111-21. Disqualifications for relief. § 111-22. Beneficiaries not deemed paupers. § 111-23. Misrepresentation or fraud in obtaining assistance. § 111-24. Cooperation with federal departments or agencies; grants from federal government. § 111-25. Acceptance and use of federal aid. § 111-26. Termination of federal aid. § 111-27. Department of Health and Human Services to promote employment of blind persons; vending stands on public property. § 111-27.1. Department of Health and Human Services authorized to conduct certain business operations. § 111-27.2. Blind vending-stand operators; retirement benefits. § 111-28. Department of Health and Human Services authorized to receive grants for benefit of blind and visually impaired; use of information concerning blind persons. § 111-28.1. Department of Health and Human Services authorized to cooperate with federal government in rehabilitation of blind and visually impaired. § 111-29.  Expenditure of equalizing funds; grants affording maximum federal aid; lending North Carolina reports. § 111-30. Personal representatives for certain recipients of aid to the blind. § 111-31. Courts for purposes of §§ 111-30 to 111-33; records. § 111-32. Findings under § 111-30 not competent as evidence in other proceedings. § 111-33. Sections 111-30 to 111-33 are not to affect provisions for payments for minors. § 111-34. Repealed by Session Laws 1973, c. 476, s. 143. § 111-35. Authority of director of social services. §§ 111-36 through 111-40. Reserved for future codification purposes. Article 3 - Operation of Vending Facilities on State Property. § 111-41. Preference to blind persons in operation of vending facilities; responsibility of Department of Health and Human Services. § 111-42. Definitions as used in this Article. § 111-43. Installation of coin-operated vending machines. § 111-44. Location and services provided by State agency. § 111-45. Duty of State agency to inform the Department of Health and Human Services. § 111-46. Vending facilities operated by those other than blind persons. § 111-47.1. Food service at North Carolina aquariums. § 111-47.2. Food service at State parks, museums and historic sites operated by the Department of Natural and Cultural Resources. § 111-47.3. Food service at Department of State Treasurer. § 111-47.4. Food service at North Carolina Zoological Park. Article 4 - Operation of Highway Vending Facilities on North Carolina Highways. § 111-48. Preference to blind persons in operation of highway vending facilities. § 111-49. Definitions as used in this Article. § 111-50. Operations of highway vending. § 111-51. Priority for specific blind vendors. § 111-52. Profits from Highway Vending Fund.